As cyber threats to the infrastructure of the nation’s electricity transmission grow in numbers and sophistication, so does the technology used to identify vulnerabilities and mitigate these attacks. 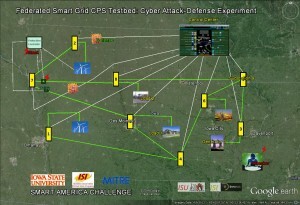 PowerCyber, a cyber-physical security testbed developed at Iowa State University, combines real, simulated, and emulated hardware and software, including industry standard control systems, communication protocols and field devices. The components are integrated with real-time power system simulators to provide an accurate representation of cyber-physical grid interdependencies. 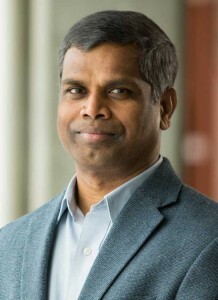 Manimaran Govindarasu, Mehl Professor of Electrical and Computer Engineering, says the testbed provides a realistic environment for identifying and mitigating compromises to the power grid. Govindarasu leads a research group that assesses vulnerabilities and risks to the grid, analyzes system impacts, and develops and evaluates countermeasures to attacks. The testbed also features a visualization program that demonstrates the behind-the-scenes activity of PowerCyber. The program indicates when attacks occur throughout the grid and when a defense is put in place. Users can see if the defenses work and learn more about how the parts of PowerCyber interact. The visualization program for PowerCyber shows where cyberattacks originate and the defenses put in place. Click the image for larger view. 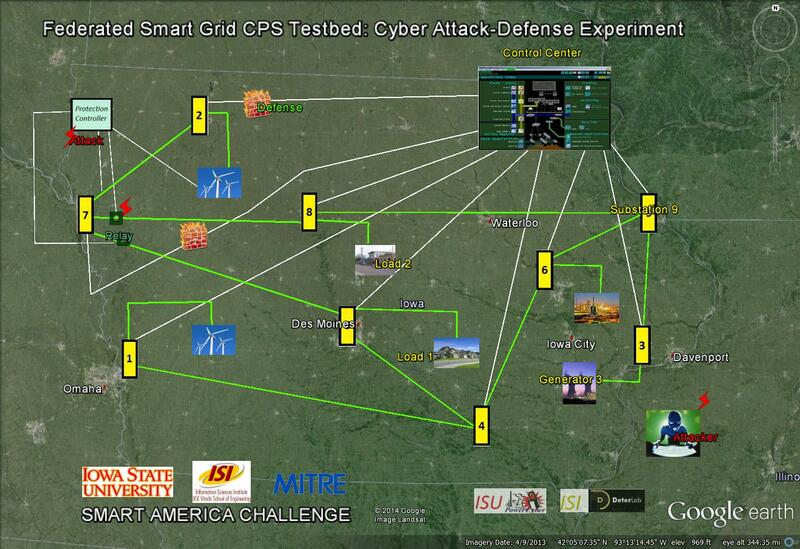 Research for cyber-physical systems, like PowerCyber, is gaining national attention through programs like the SmartAmerica Challenge, which aims “to show tangible and measurable benefits” of these systems. As part of the SmartAmerica Challenge, Govindarasu teamed up with several industry and university partners to form the Smart Energy CPS. Govindarasu worked with researchers at the University of Southern California’s Information Sciences Institute to federate the testbeds located on each campus. ISU alumnus Adam Hahn (MSCpE’06, MSInfAs’06, PhDCpE’13) of MITRE Corporation is also a key member of this project. Connecting the testbeds provides a larger environment in which researchers can test and innovate. “Sharing resources makes our own research program stronger, and such synergistic collaborations give us more abilities to improve the cybersecurity and resiliency of the grid,” Govindarasu added. At Iowa State, several of ISU’s electrical and computer engineering faculty members, including University Professor Doug Jacobson, Nicholas Professor Venkataramana Ajjarapu and Associate Professor Umesh Vaidya, are involved in developing and expanding cyber-physical systems security as well. Jacobson leads the Information Assurance Center, which recently announced it will be adding cyber-physical system security as a focus to its programs. These research and educational programs are supported by several grants funded by the National Science Foundation and industry. Govindarasu and his graduate students will be demonstrating PowerCyber and their work with the Smart Energy CPS team during the SmartAmerica Expo held in Washington D.C. on June 11.